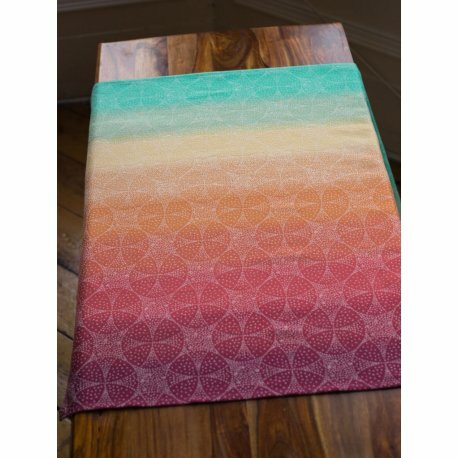 A fade of burgundy and orange tones through sunshine yellow with a turquoise jade accent is complemented by an ecru weft for a fresh feeling wrap. 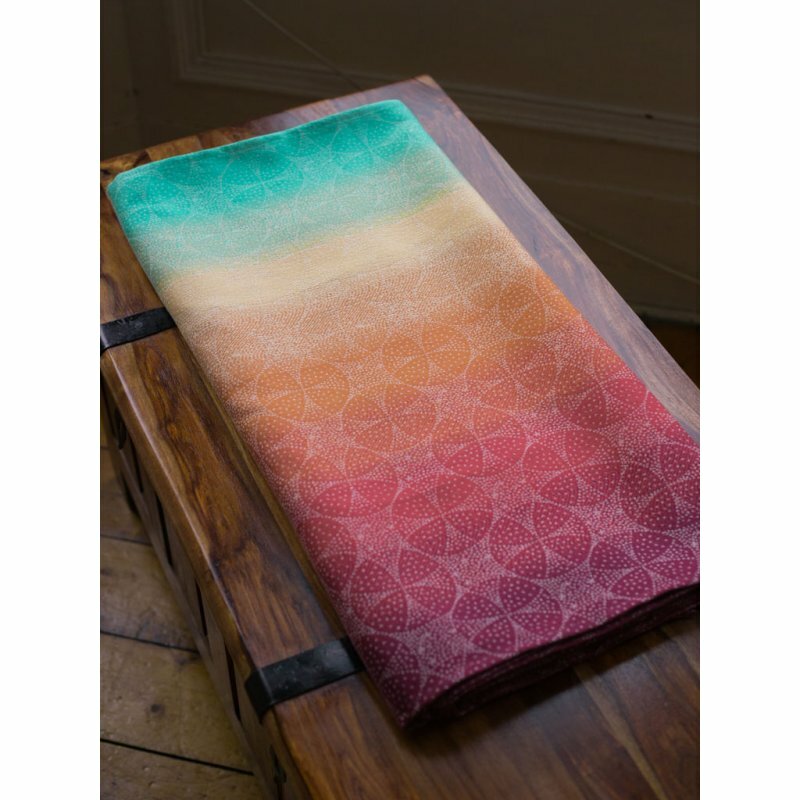 Woven from organic combed cotton and long staple Egyptian cotton this stunning wrap is soft & malleable with a lovely cush. 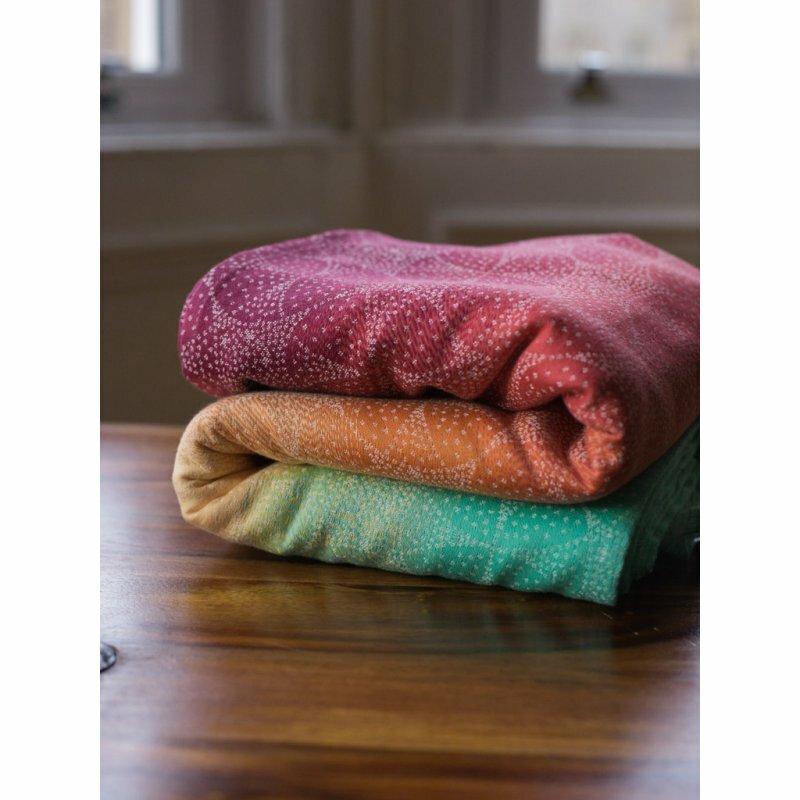 Strong and durable Egyptian cotton is a lovely, luxurious yarn which brings a little extra shimmer to this all cotton wrap. FABRIC COMPOSITION: 71% organic combed cotton, 29% organic Egyptian cotton, 66cm wide.